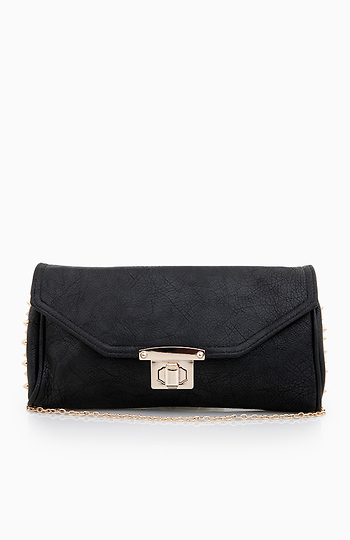 Faux leather clutch with gold spikes on the sides. Turn lock closure in front and detachable chain link shoulder strap. Interior zippered pocket. Fully lined.